RADIX DESIGN is an architecture firm based in the historic Baker neighborhood of Denver, Colorado. It is named RADIX from the Latin for a root vegetable - for instance, a carrot or a radish. RADIX is also used in mathematics for the root or base of a number system. In design, RADIX stands for an architecture that is rooted in place, at home in the dirt; simple, elegant, and green. RADIX DESIGN takes inspiration from the principles of Slow Food: GOOD, CLEAN, and FAIR. GOOD: Architecture of quality, beauty, and warmth. FAIR: Architecture that benefits the place around it - street, neighborhood, city, and land. Radix was founded in 2016 by Colorado architect Ozi Friedrich. Ozi's experience includes award-winning projects at scales ranging from a $125,000 carriage-house renovation to an $18-million new-build elementary school. Radix is currently pursuing B-Corp Certification to help embed responsible and sustainable practices at every level of its architectural practice. We work within the grain of small square footages, obdurate structural elements, and sensitive neighborhood contexts. In all cases, we seek an architecture that is rooted in its place: responsive to climate, reflective of context, both fitting-in but also making the surroundings clearer and more meaningful than they were before. Our design is contemporary, but contemporary in a way that enriches a historic context. 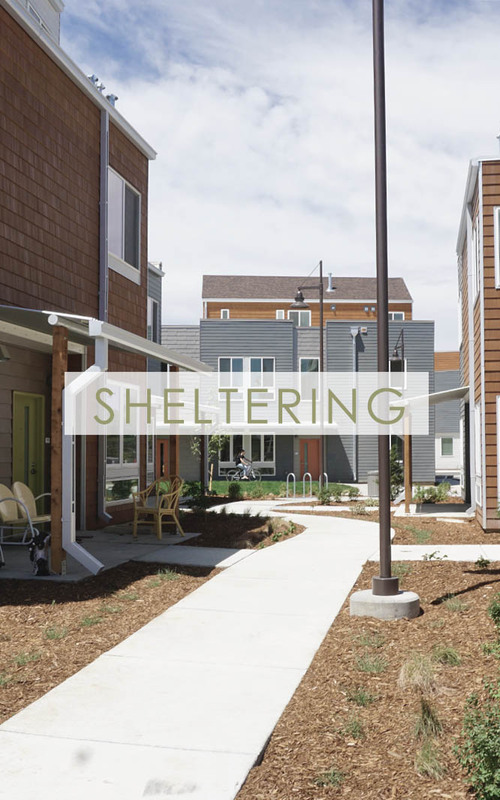 The Kestrel Affordable Sustainable neighborhood in Louisville, Colorado, is our largest project. It stands as an extraordinary example of sustainable neighborhood design. The entire site is designed with the capability to go fossil-fuel free, using geothermal heat pumps for heating and cooling. Although Radix Design is a small firm, we possess extraordinary experience in the design of highly significant public projects dedicated to learning, creativity, and discovery. Our school and library portfolio demonstrates a record of innovative, sustainable, community-centered design that we carry throughout our practice. The first step of sustainability is to make appropriate use of what we already possess. Our practice is keenly focused on preservation, adaptive reuse, and creative renovation. We are based in a historic Denver neighborhood and a major portion of our work is in those neighborhoods.